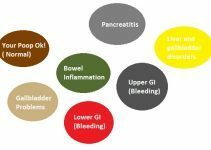 What are the Signs and Symptoms of Leaky Gut Syndrome? 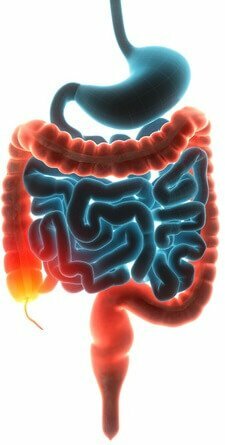 What are the Conditions Associated with Leaky Gut Syndrome? How to Treat Leaky Gut Syndrome? The condition is marked by bowel hyperpermeability, due to disruption of the zonula occludens or tight junctions (the fluid resistant barrier formed by joining of the cell membranes within the intestinal tissues). The damaged tight junctions allow partly digested food particles to move through the intestinal linings, leading to various symptoms. The disease may hamper the functioning of the immune system, leading to various liver and bladder problems, as well as conditions like fever, food allergies and malnutrition. It may also cause recurrent vaginal infections (such as yeast infection) in women. Rather than considering it as a separate disorder, doctors regard leaky gut syndrome as an indication of the presence of some of the following chronic or acute diseases. Treating the underlying condition generally helps to get rid of the symptoms of a leaky gut. However, certain dietary restrictions may be recommended to prevent further deterioration of the condition. In breast-feeding infants, treatment for leaky gut syndrome  may vary from one patient to another. It is advisable to consult a pediatrician regarding the foods ideal for sealing the damaged intestine. In most cases, it is recommended to delay the introduction of all starchy foods until an affected baby is at least 18 months old. Certain nutritional and natural supplements are often recommended for healing an damaged intestine. It is advisable to seek immediate medical attention in case of any adverse side effects due to the use of these supplements. Homeopathic  and Traditional Chinese medicines  also claim to be effective in healing the intestinal damage. It is known to occur in animals like dogs, cats and horses, and cause various symptoms including ear infections, respiratory allergies, hair or coat problems, diarrhea and itchy skin.